Here is an excerpt from Elder J. Morgan’s recent letter home. 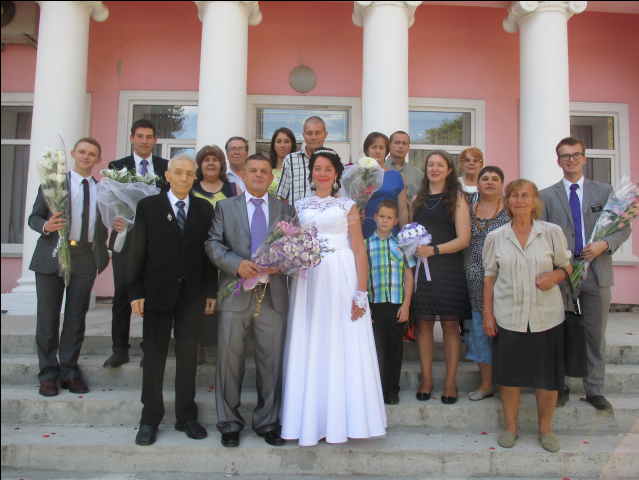 Also, Svetlana who recently was Baptized, got Married this week. She married a man named Valerii, he is a Taxi driver, and that is how they first met each other. She invited us to her wedding. There was one point where we were brought into a room where there was Champagne to drink, and Svetlana asked for water instead. Her husband knows who we are, and he respects us. We hope that in the future, he will take interest in the church, so that they both can be sealed in the Temple for all eternity. I’m so happy for her, she is being blessed immensely by the Lord. See if you can find Elder Morgan in the crowd.